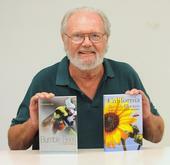 A Memorable Week Pending for UC Davis Entomologists! 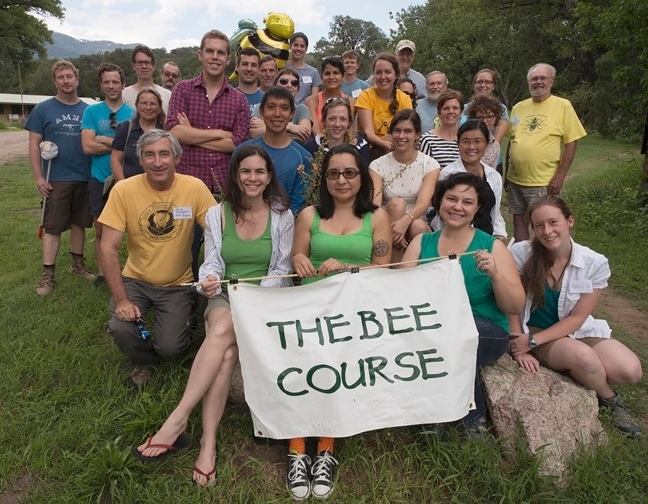 Robbin Thorp (standing, far right, yellow shirt), an instructor at The Bee Course, with students and fellow instructors. 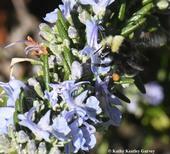 Drum Roll...First Bumble Bee of the Year! 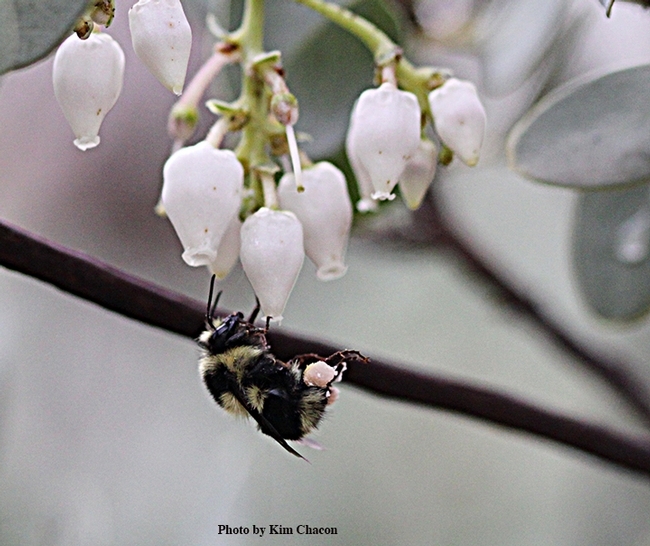 Check out the pollen on this black-tailed bumble bee, Bombus melanopygus, nectaring on manzanita, as photographed by Kim Chacon, UC Davis doctoral candidate on Jan. 10. 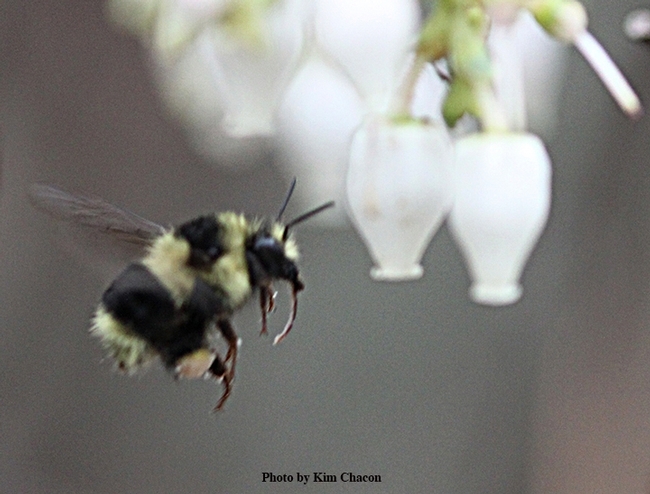 Bring on the Bumble Bees! That simple request, prefaced with a term of endearment for good measure, means there's honey on the table. 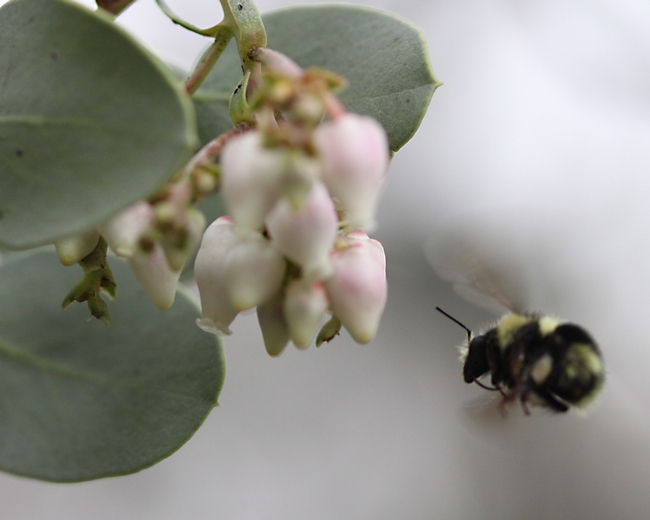 My favorite then was clover honey from the lush meadows and fields of our 300-acre farm in southwest Washington. 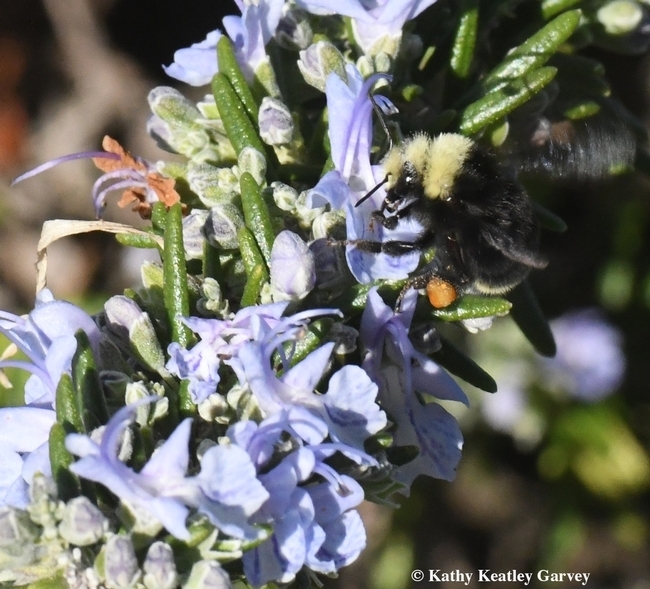 My favorite now is Northern California yellow starthistle honey, derived from the blossoms of that highly invasive weed, Centaurea solstitialis, which farmers hate (and rightfully so) and beekeepers love. 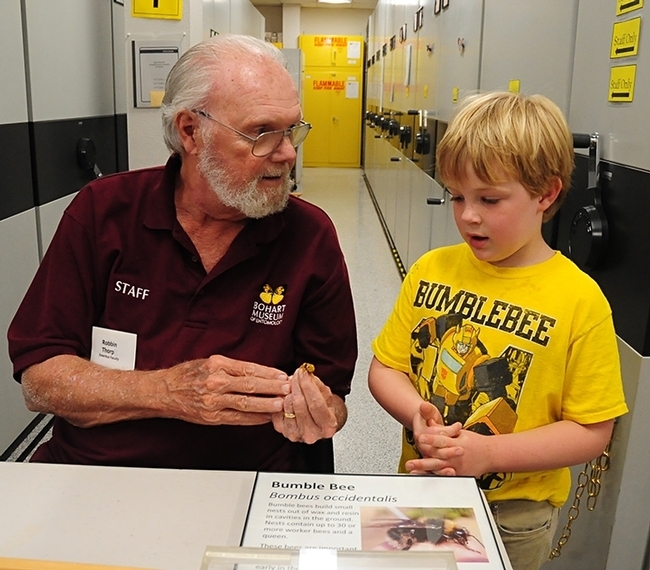 The UC Davis Honey and Pollination Center, located in the Mondavi Institute for Wine and Food Science on Old Davis Road, periodically offers courses on the sensory evaluation of honey, as well as honey tastings. Next up: the center will host free honey tastings at its home base during the 105th Annual Campuswide Picnic Day on April 13, and at the California Honey Festival in downtown Woodland on May 4. 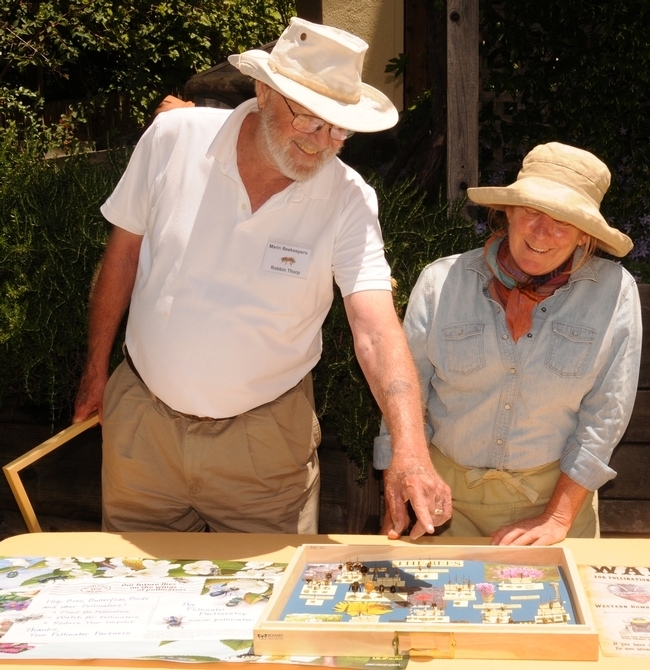 Another popular honey tasting: California Extension apiculturist Elina Lastro Niño, based in the UC Davis Department of Entomology and Nematology, hosts a honey tasting at Briggs Hall during the annual Picnic Day. 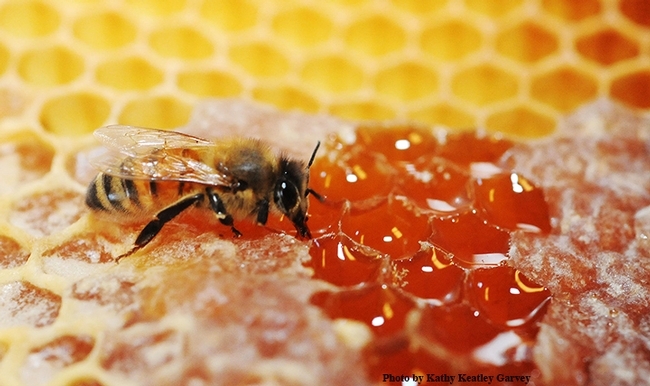 There's more to honey than meets the eye — or the palate. 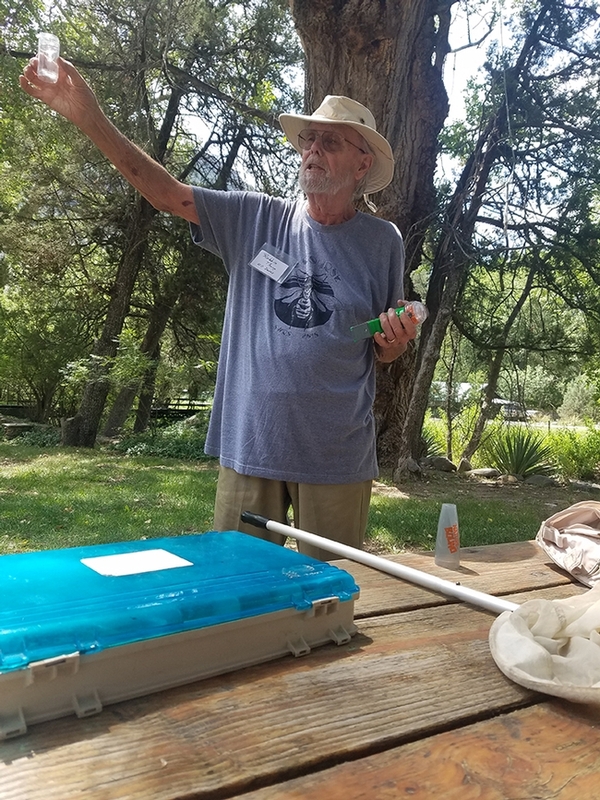 The Honey and Pollination Center recently hosted a three-day Sensory Evaluation of Honey Certificate Course last October, using “sensory evaluation tools and methods to educate participants in the nuances of varietal honey,” Harris said. Northern California public radio station KQED spotlighted the course on its “Taste This” program. 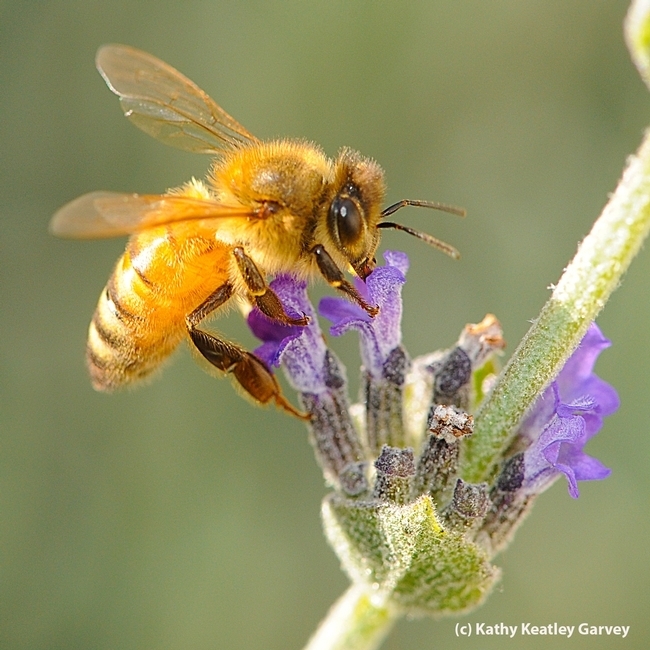 And we owe it all to honey bees. 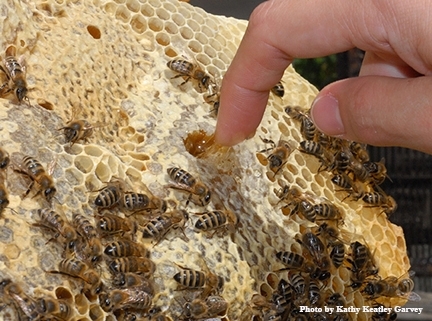 Take a 16-ounce jar of honey at the supermarket. 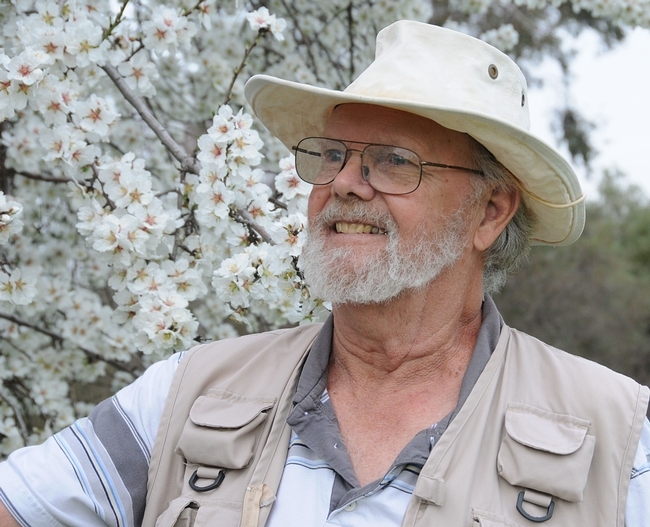 That represents “the efforts of tens of thousands of bees flying a total of 112,000 miles to forage nectar from about 4.5 million flowers,” writes Buchmann. 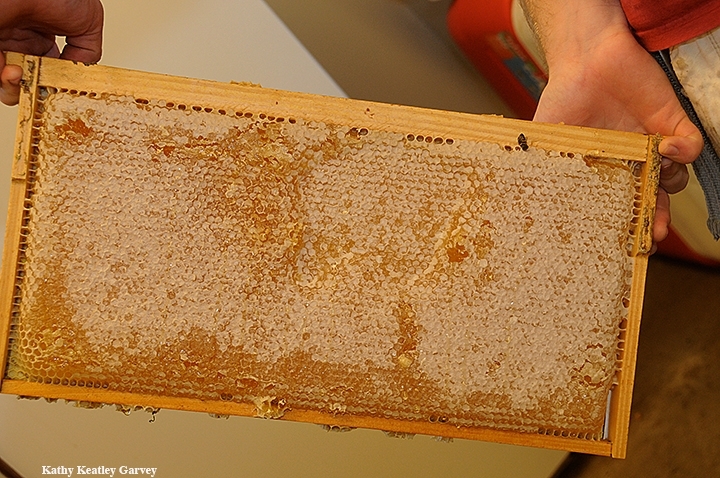 Of course, we primarily appreciate honey bees for their pollination services (one-third of the food we eat is pollinated by bees) but honey is more than just an after thought. It's been described as “liquid gold,” “the nectar of the gods” and “the soul of a field of flowers.” Frankly, it's nothing short of miraculous. And well it should be.